Write to organisations which don’t differentiate between smoking and vaping. There are, unfortunately, a lot of organisations to pick from. How about starting with your local council? Freedom to Vape has recently published their report: 2017​ ​Vaping​ ​Policies​ ​in UK​ ​Councils​, you can find it here. The report shows ​that the​ ​vast​ ​majority​ ​of​ ​councils​ ​are ignoring​ ​the​ ​advice​ ​of​ ​respected​ ​bodies​ ​like​ ​Public Health England and the ​Royal​ ​College​ ​of​ ​Physicians - so there's a very good chance that your council is one of them. Help to get “vaping welcome” signs into image search results by posting them on your website and social media accounts. You could use these ones, produced by Dan Pidcock for the NNA and free to adapt and share for non commercial purposes. When posting them on your social media accounts please label them to help Google to identify them (see Google's advice, here). 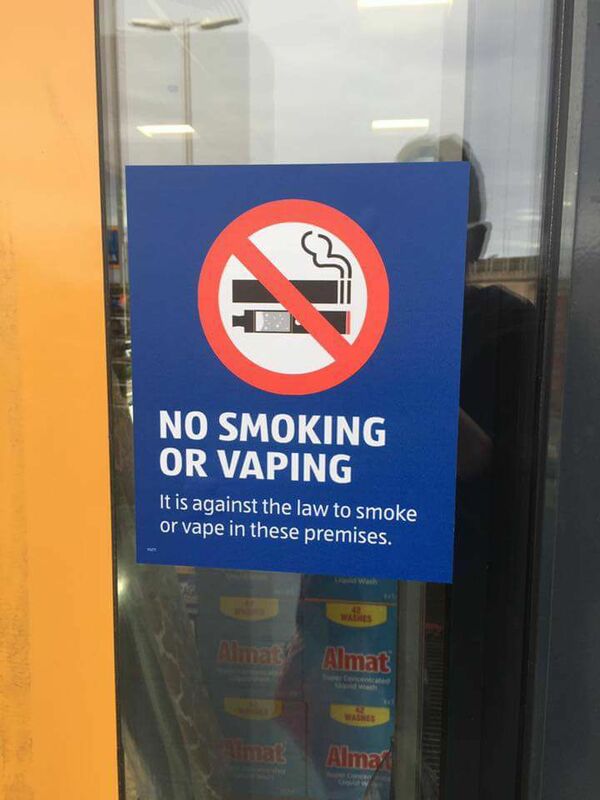 Aldi recently displayed this sign in some of its stores but removed them only days later, as a result of vapers' protests. This was achieved through just a few tweets and emails. UPDATE: Aldi has since confirmed that their signage has been redesigned (see image below) but it will take some time for the change to be implemented in all their stores. 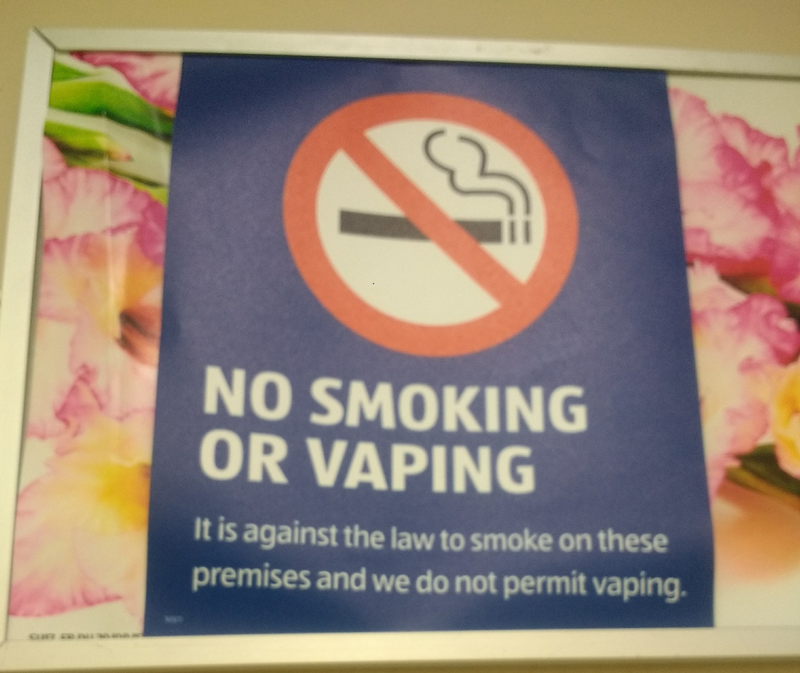 So, if you see the sign which says it's against the law to vape still on display in your store, please ask the manager to look out for the new ones.